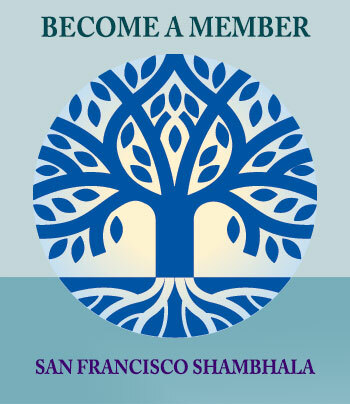 New to Meditation or Shambhala? Join us for a free drop-in program. 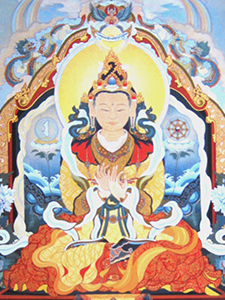 Learn to meditate, connect with community, develop mindful-awareness, and compassion. 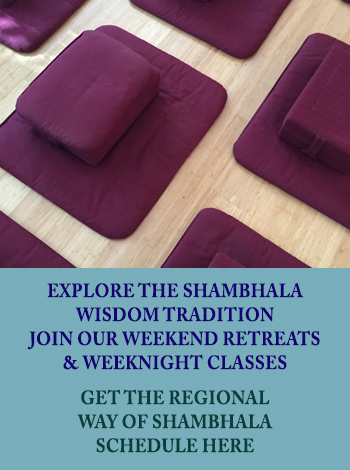 And, meditation instruction is always available. 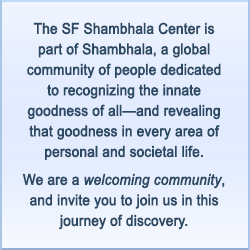 We’re located at 1231 Stevenson Street in SF. Volunteers can sign up to staff a program. 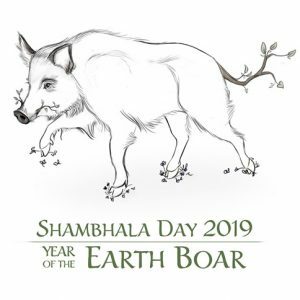 (You must first have a Shambhala Account). Login here, and use the volunteer link on the side menu. 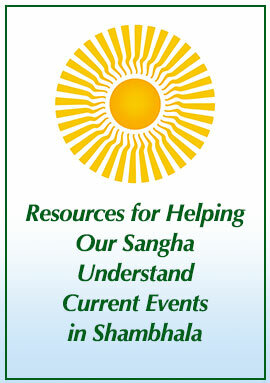 If you don't have a Shambhala Account, you can register here. As mail filters become increasingly aggressive, more and more people are missing our newsletters and announcements. Please check your filters, label messages as "not junk", and update addresses in your contacts to include newsletter senders. If you are a gmail user, this set of instructions is helpful.